To promote discussion of the best approach to regulating powdered bulk caffeine, the volunteer editor of this compendium invited a number of stakeholders to share their views on the August 2015 action. 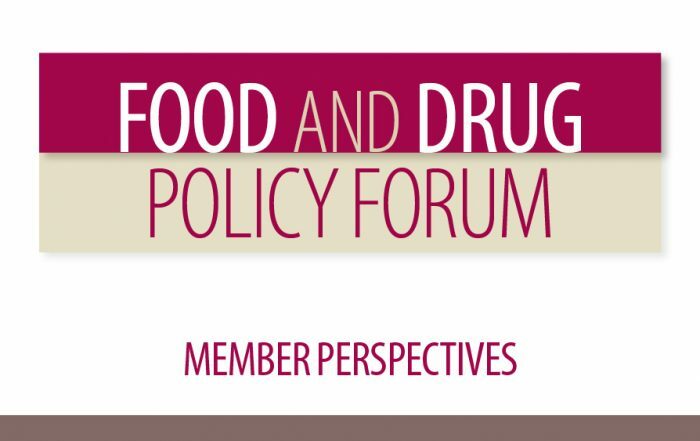 Participants in this issue of Policy Forum were asked if they believed FDA was justified in issuing the Warning Letters on pure powdered caffeine and, more broadly, to address FDA’s and their own roles in assuring the safety of dietary supplement products on the market. 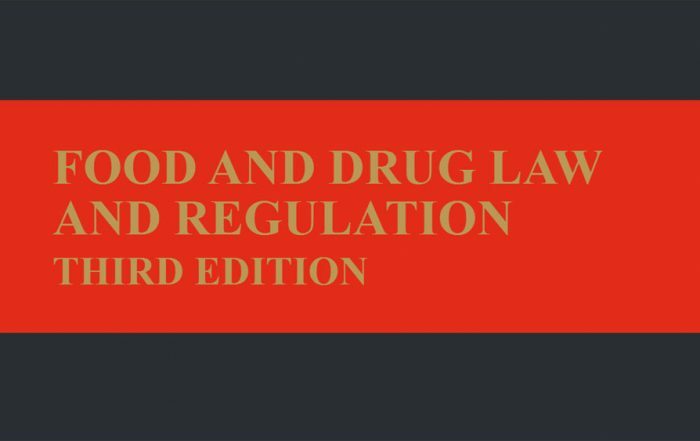 This compendium begins with an overview of the regulatory and legal underpinnings of dietary supplements, including a brief discussion of the 1994 amendment to the Federal Food Drug & Cosmetic Act (FFDCA), the Dietary Supplement Health and Education Act (DSHEA), which provided a legal definition of these products, and established a new regulatory framework. The introductory overview also provides background on caffeine, including how much Americans consume daily, differences in how individuals respond to caffeine, how the body processes caffeine, and what is known about its toxicity. This is followed by the contributions from participating stakeholders (trade associations and a consumer group) outlining their perspectives on the risks posed by pure powdered bulk caffeine and their responses to this regulatory challenge. A. What is a Dietary Supplement? The DSHEA defines “dietary supplement” as a product (other than tobacco) that is ingested and is intended to supplement the diet and contains one or more of the following: a vitamin; mineral; herb or other botanical; amino acid; dietary substance for use by man to supplement the diet by increasing the total dietary intake; or a concentrate, metabolite, constituent, extract, or combination of any of these.17 The Act does not distinguish between naturally-derived dietary supplement ingredients from those that are synthesized or extracted and chemically purified,18 or whether they are marketed as free powder; in capsules; in solid form, such as tablets; or in liquids. Importantly, the DSHEA states: “…a dietary supplement shall be deemed to be a food within the meaning of this Act.” [emphasis added]. As such, a dietary supplement does not require premarket approval.19 However, the DSHEA neither considers dietary supplements as “conventional” food nor as “food additives.” Also, the DSHEA does not consider dietary supplements to be “drugs,” although it does allow dietary supplement manufacturers to make certain health-related claims provided such statements are “truthful and not misleading” under sections 201(g)(1) and 403(r) of the Act. However, a single chemical that might be a dietary supplement or an ingredient in a dietary supplement can be regulated by FDA in another product category and under different regulations. FDA regulates caffeine as a drug (as an active ingredient), conventional food (e.g., coffee, tea, or energy drink20), a food additive (e.g., a substance added to cola), or dietary supplement (e.g., as green tea extract or as an ingredient in other dietary supplements, including energy drinks21). Legal product designations (e.g., drug, conventional food, food additive, or dietary supplement) are important. The development and marketing of products in a given product category are subject to a unique set of regulations. Depending on the category, these may include: premarket demonstration of safety and efficacy, labeling (including claims), good manufacturing practices, and adverse event reporting (AER). 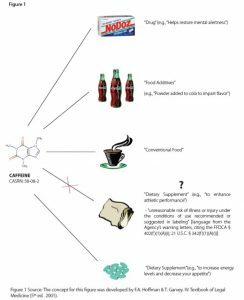 Caffeine provides a useful illustration of how one product may be regulated in multiple categories based on intended use. See Figure 1 for a schematic of the different ways in which the FFDCA categorizes caffeine. C. How Much Caffeine Do Americans Consume Daily? D. Why Do Some People Tolerate Caffeine Better Than Others? The ability of individuals to respond to the same amount of caffeine differs for a number of reasons, including body weight; time or frequency of caffeine ingestion during the day; health and smoking status; genetic variations in enzymes responsible for caffeine’s metabolism and actions, and; medications. Since children weigh less, they receive a higher effective dose on a body weight basis, compared to an adult consuming the same amount. Consequently, a specific amount of caffeine consumed by a child or adolescent may have a greater effect on younger individuals than on adults. Also, we all process (absorb, metabolize, and eliminate) caffeine differently, despite some common features. Caffeine is nearly entirely absorbed by the gastrointestinal tract after we consume it, and is then quickly transferred to the blood, metabolized in the liver, and excreted (primarily in the urine). Peak blood (plasma) concentrations are reached between only 15 minutes to two hours after ingestion.37 All things being equal, a slow metabolizer’s caffeine blood level will be higher than a fast metabolizer’s. This depends on the nature of an individual’s metabolizing enzymes; pregnancy or smoking status; whether or not the individual has liver disease and; interactions of caffeine with medications or St. John’s Wort. 38,39,40,41,42,43,44,45,46,47,48,49,50 Individual caffeine consumption patterns also influence caffeine’s actions and peak blood caffeine levels. For example, a single, very high dose of caffeine during the day can result in a higher caffeine blood level at a single point in the day relative to multiple, moderate doses of caffeine. This is because a specific amount of caffeine that is broken up into smaller amounts and ingested during the day is incrementally metabolized and excreted, resulting in lower caffeine blood levels than that expected after ingestion of that same amount all at one time. In addition to metabolic differences among individuals, there are differences in various receptors that affect individuals’ sensitivity to the effects of caffeine.51,52,53,54 All of these factors influence caffeine’s desired stimulatory effects in an individual, as well as its toxicity. E. What Levels of Caffeine Are Generally Considered Safe? The US Department of Agriculture (USDA) states that the daily intake of 55 and FDA has concurred.56 For caffeine added to cola, FDA considers acceptable a caffeine level of < 200 ppm (0.02%), equivalent to 71 mg of caffeine in a 12-oz serving of cola57—a little less than that contained in a cup (eight ounces) of most coffees.58 However, this determination for cola does not apply to levels of caffeine that might be used in other products, or total caffeine intake per day. Some who ingest caffeine on a daily basis at levels that are considered safe experience sleep disturbances,59 headaches or heart palpitations,60 and other effects, such as jitteriness. Others experience symptoms of withdrawal with a decrease or cessation in caffeine consumption.61 However, none of these effects from moderate doses of caffeine are considered safety risks in healthy individuals. On the other hand, not many would dispute that large doses of caffeine can be extremely toxic, as well as fatal,62 and that the dose ranges related to its adverse effects can be expected to significantly differ among individuals. It is possible that consumers’ familiarity and comfort with caffeine moderates possible concerns about excessive consumption.63 Still, overdosing on caffeine is rare. Sometimes overdosing is intentional, such as with suicide attempts. However, it has also been known to occur as a result of an apparent lack of awareness of safety risks or dose estimation errors,64 such as when taking high, single doses, or an excessive number of doses (especially if there is a misperception that bulk quantities should be handled with no greater care than protein powder), or due to a lack of understanding of the inherent variability in sensitivity to caffeine in the general population. F. What Level of Caffeine Is Toxic or Lethal? FDLI and this novice volunteer editor are grateful to the organizations contributing to this compendium in the following pages, providing the reader with a chance to learn of their reactions to FDA’s action on pure, powdered bulk caffeine and to gain an understanding of what each organization is doing to assure the safety of all dietary supplements marketed in the US. The Consumer Healthcare Products Association (CHPA) members who market dietary supplements are committed to providing quality products manufactured according to current Good Manufacturing Practices (GMPs), labeled appropriately per regulation, and advertised in a responsible manner. We support strong action by FDA against those who market illegal products masquerading as dietary supplements. Also, CHPA and its members are taking voluntary action to improve consumer and retailer awareness of unsafe supplements and to keep these products off the market. In 2013, the CHPA Board of Directors approved voluntary labeling guidelines for caffeine-containing dietary supplements, a measure adopted following FDA’s announcement that the agency would investigate the safety of caffeine in food products.91 These guidelines were recently updated to indicate that CHPA’s members agree not to market powdered caffeine for sale to consumers. On August 27, 2015, FDA issued Warning Letters to five distributors of pure powdered caffeine,92 noting that the products were adulterated, as they represented a significant or unreasonable risk to consumers. Citing the potentially small difference between safe amounts of powdered pure caffeine and those causing potentially serious adverse effects, FDA noted that consumers would not likely be able to accurately measure a safe dose of powdered caffeine (1/16 to 1/32 of a teaspoon in some cases) with common kitchen measuring tools. Differences in the density of powdered caffeine products could also result in administration of a greater total dose with some products even when the correct amount is taken. One teaspoon of pure powdered caffeine is equivalent to the amount of caffeine in about 28 cups of regular coffee. Under the Dietary Supplement Health and Education Act (DSHEA), FDA may find a product to be adulterated if the ingredient presents an unreasonable risk of illness or injury under the recommended conditions of use. FDA in this case has determined that an unreasonable risk exists due to the difficulty in measuring a safe level of caffeine. The risk of unintentional overdose is therefore heightened in this case. FDA had previously issued a Consumer Advisory93 recommending that consumers avoid use of powdered caffeine following the death of two young men who had used a pure powdered caffeine product. Others have also called on FDA to restrict or ban the sale of powdered caffeine, including the Center for Science in the Public Interest94 (CSPI) and six US senators.95 Due to the potentially serious consequences that may result from errors in measuring extremely small doses of pure powdered caffeine, CHPA believes that FDA’s actions to remove powdered caffeine from the market were appropriate. Consumers relying on dietary supplements to support their overall health and wellness should be assured that there are extensive rules in place regulating the manufacturing, labeling, and marketing of these products. FDA is responsible for ensuring that all companies follow the mandatory GMP regulations for dietary supplement products defined under the DSHEA. Under the DSHEA, FDA is also responsible for reviewing New Dietary Ingredient Notifications. Thus, nearly all aspects of dietary supplement manufacturing, advertising, and labeling are covered by extensive regulations issued and enforced by FDA. Moreover, the Federal Trade Commission (FTC) regulates advertising of dietary supplements and requires that health claims be based on “competent and reliable scientific” evidence. Dietary supplement manufacturers must perform identity testing for each dietary ingredient they use and must establish specifications for the identity, purity, and strength of all dietary ingredients used to manufacture dietary supplements. Manufacturers must also verify a dietary ingredient supplier’s compliance with GMPs and periodically update these qualifications. Industry-funded trade associations and independent GMP auditors have helped responsible companies to address concerns associated with ingredient quality or identity. Along with the Council for Responsible Nutrition (CRN) and the United Natural Products Alliance (UNPA), CHPA participates in the Standardized Information on Dietary Ingredients (SIDI) Workgroup, which has developed voluntary guidelines intended to assist dietary supplement companies with supplier qualification activities as part of complying with the GMP regulations. CHPA believes that the current regulatory framework for dietary supplements, defined under DSHEA, is adequate. We have voiced our support for increased agency action against manufacturers marketing illegal products containing active pharmaceutical ingredients or undeclared substances masquerading as dietary supplements. Along with the other dietary supplement trade associations, we have also expressed a willingness to work with the agency in helping it in this regard. Periodically, accusations of an “unregulated” dietary supplement industry are published in the mainstream media implying that the entire industry operates in a “wild-west” type of environment. Of course, this is simply not true and such statements fail to recognize the long-standing differences in the regulatory structures governing drugs and dietary supplements. This often results in consumer confusion about these beneficial health products that millions of Americans rely on to support their overall health and wellness. Concerns have been expressed about FDA’s issuance of Warning letters to marketers of pure powdered caffeine, noting that these were based on anecdotal evidence.97 CHPA believes that the potential for caffeine overdose and the ensuing serious consequences that could result provide sufficient basis for the FDA action. In this instance, pure powdered caffeine presents a unique risk—consumers are required to accurately measure out an appropriate and very low dose using measures (1/16 to 1/32 teaspoon) that are not commonly employed or likely recognized by the average consumer. In collaboration with CRN, we have published articles in journals targeted to convenience store owners stressing the need to adequately monitor the products sold in these and other similar type stores (e.g., gas stations).99,100 CHPA provides consumers with easy to understand information on the safe use of dietary supplements. These tips stress the need for consumers to share information with their healthcare provider regarding the types of supplements they are taking, to avoid purchasing supplements promising “miracle” effects, and to only purchase supplements from companies that consumers know and trust. Dietary supplement trade associations also hold regular meetings to discuss current events regarding supplements, including ways to support educational efforts and how best to work with FDA to ensure that dietary supplement manufacturers are compliant with all applicable regulations. CHPA has a long history of working with partners to promote and enhance the safe and effective use of OTC products. The CHPA Educational Foundation, established in 2004, educates consumers on how to use, store, and dispose of OTC medicines and dietary supplements. 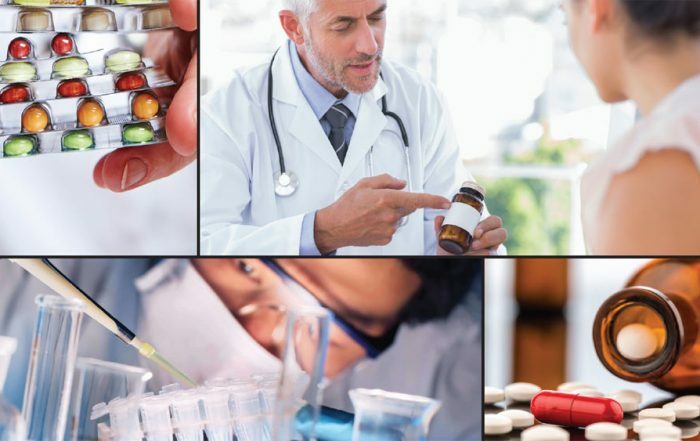 Information and materials representing the latest medical and scientific thinking and research address specific areas identified by CHPA as those for which consumers need guidance and support. The CHPA Educational Foundation developed and launched KnowYourOTCs.org, a website providing facts and educational tools geared to consumers, and presented in a user-friendly format that is intended to help them take charge of their own healthcare. This includes examples of dietary supplement products, an explanation of dietary supplement health claims, important tips for safe use, and commonly asked questions about dietary supplements. CHPA believes that educating consumers on the best practices for choosing dietary supplement products manufactured and marketed in a responsible fashion can make a difference in consumer understanding and public health. CHPA is committed to working with FDA in whatever capacity necessary to ensure the public’s continued access to safe, beneficial dietary supplement products, and to working with FDA to prevent the marketing of illegal or potentially unsafe products. CRN’s mission is to sustain and enhance a climate for our members to responsibly develop, manufacture, and market dietary supplements and nutritional ingredients. CRN supports a comprehensive regulatory framework that provides consumers with access to a wide variety of affordable, high quality, safe, and beneficial dietary supplement products, while also encouraging innovation, research, and product development based on sound science. CRN supports FDA’s issuance of Warning Letters to distributors of pure powdered caffeine. The Federal Food, Drug, and Cosmetic Act (FFDCA) authorizes the agency to take enforcement action if a dietary supplement presents a significant or unreasonable risk of illness or injury under the conditions of use recommended or suggested in the labeling.101 In the present case, although pure powdered caffeine is a legal dietary ingredient, when sold in bulk form it presents an unreasonable risk to consumers because the margin between the recommended serving size and a toxic amount is miniscule. A simple mistake in accurately measuring a safe dose of the product could result in a serious adverse event or possibly death. Because the hazards associated with caffeine overdose are significant, CRN supports restrictions on the sale of bulk pure powdered caffeine (PPC) directly to consumers. Industry and FDA have unique but complementary roles in ensuring the safety of dietary supplements. Many dietary supplements and the ingredients used in these products, including caffeine, have a long and established history of safe use. Therefore, the FFDCA does not require FDA’s approval of dietary supplements or their ingredients. However, manufacturers intending to market new dietary ingredients (NDIs) must notify the FDA at least 75 days before marketing an NDI.102 Whether or not an ingredient is an NDI, the FFDCA requires companies intending to market them to assure the safety of products before they are marketed. In addition, companies must comply with various FDA laws and regulations, including current Good Manufacturing Practices (GMPs), Adverse Event Reporting (AER) requirements, as well as with the more recent Food Safety Modernization Act (FSMA).103 The purpose of the FSMA is to ensure safety in the US food supply by shifting the focus from responding to contamination to preventing it. Under the FFDCA, as amended by FSMA, companies that manufacture, process, pack, or hold human food, including dietary ingredient suppliers, must identify food-safety hazards and implement preventive controls.104 Certain provisions, such as facility registration,105 administrative detention,106 and mandatory recall authority,107 also apply to dietary supplement manufacturers. The FFDCA also addresses requirements for structure/function claims.108 These claims may describe the role of a nutrient or dietary ingredient intended to affect the normal structure or function of the human body, e.g., “calcium builds strong bones,” or may characterize the means by which a nutrient or dietary ingredient acts to maintain such structure or function. In 2000, FDA issued a final rule, “Regulations on Statements Made for Dietary Supplements Concerning the Effect of the Product on the Structure or Function of the Body,” 109 which establishes the types of statements that may be used on a dietary supplement’s immediate product label or packaging, as well as statements that are placed physically apart from the product’s container, such as promotional material including that on websites. Unlike health claims or qualified health claims, structure/function claims do not require FDA’s approval. However, the FFDCA requires marketers to substantiate that the claims are truthful and not misleading, and marketers must also notify FDA within 30 days of first marketing the product(s) associated with these claims.110 In addition, the product must include a mandatory disclaimer statement stating that the product has not been evaluated by FDA and “is not intended to diagnose, treat, cure, or prevent any disease.”111 The agency’s “Guidance for Industry: Substantiation for Dietary Supplement Claims Made Under Section 403(r)(6) of the Federal Food, Drug, and Cosmetic Act” describes in detail the substantiation requirements for structure/function claims.“112 This guidance, which was modeled after FTC’s “Dietary Supplements: An Advertising Guide for Industry,”113 recommends the amount, type, and quality of evidence that is necessary for the manufacturer’s substantiation of a claim to be compliant with the FFDCA. Trade associations, such as CRN, promote industry compliance with federal requirements and agency guidance, and encourage responsible industry practices through self-regulatory programs. These programs establish guidelines for CRN’s members, such as those for labeling and dosage, which go beyond federal requirements and seek to promote responsible manufacturing and marketing of dietary supplements. CRN has concluded that FDA acted appropriately and within its legal authority when it issued the Warning Letters on PPC and declared PPC adulterated under the law. Section 402(f)(1)(A)(i) of the FFDCA provides that a dietary supplement is adulterated if it presents a significant or unreasonable risk of illness or injury under the conditions of use recommended or suggested in the labeling. The pure powdered caffeine products at issue clearly fall under this provision. First, because pure powdered caffeine is a pure compound, the difference between a safe and a toxic dose of caffeine in these products is unacceptably small. To put it in perspective, one teaspoon of pure, powdered caffeine is equivalent to the amount of caffeine in 28 cups of coffee, while a typical recommended serving size for these pure, powdered caffeine products is 1/16 or even 1/32 of a teaspoon. Second, measuring a safe dose of pure powdered caffeine is difficult without precise measuring tools. As an example, the directions for one pure powdered caffeine product describe a 200 mg serving as a “rounded 1/32 tsp” and state that an “[a]ccurate measurement of caffeine powder…may be performed with a digital gram weight scale precise to 0.01 grams (10mg) or better.”116 Many bulk PPC products contain 100 or even 1000 servings, so without the right tools to precisely measure such a small serving size, consumers could easily take an incorrect and possibly toxic dose. Third, FDA has already documented at least two deaths of otherwise healthy individuals following the use of pure powdered caffeine. These products may also pose a threat to those with pre-existing conditions or sensitivities to caffeine. Therefore, CRN considers FDA justified in taking its most recent action in an effort to prevent additional pure powdered caffeine-related adverse events and deaths. Finally, the nature of this action is not unique for FDA. For example, FDA has taken similar action with over-the-counter (OTC) pediatric liquid acetaminophen and liquid vitamin D. In 2011, the agency raised concerns regarding dosage instructions for pediatric liquid acetaminophen after receiving reports of accidental overdoses.117 OTC manufacturers worked with FDA to develop clearer instructions, new measuring devices to accompany the products, and a consumer education campaign to raise awareness among parents and caregivers.118 Also, in 2010, FDA alerted parents and consumers that some liquid vitamin D dietary supplements were sold with droppers that could allow for excessive dosing of vitamin D to infants. Manufacturers of these products were advised by FDA to modify droppers so that they hold no more than the recommended dose and that the dose is clearly marked on the dropper.119 Likewise, FDA has an obligation to warn consumers about the potentially serious hazards associated with products such as pure powdered caffeine, especially when there are documented cases of adverse events and deaths. Without a doubt, caffeine is a safe and legal dietary ingredient; however, similar to the issue with liquid acetaminophen and liquid vitamin D, this safe ingredient becomes a potential hazard when measuring or dispensing a safe dose is not a simple process. Thus, makers of pure powdered caffeine could consider working with FDA to reformulate their products or packaging their products in a way that promotes safe use of caffeine. A key component of CRN’s mission and strategic objectives is promoting responsible industry practices. CRN’s Code of Ethics requires its members’ compliance with all federal and state regulations governing dietary supplements and food in the areas of manufacturing, marketing, quality control, and safety. CRN’s members also agree to adhere to additional voluntary guidelines that go beyond federal requirements. CRN has a robust self-regulatory program that includes labeling guidelines for caffeine, among others.120 CRN approved its caffeine guidelines in 2013 to help consumers make informed decisions about caffeine in the dietary supplements they purchase.121 The guidelines address disclosure of caffeine content and set forth consumer advisories to promote the safe, responsible use of dietary supplements. They also specifically recognize that caffeine, whether natural or synthetic, is a safe and legal dietary ingredient. The guidelines call on manufacturers to disclose on the product label the total amount of caffeine, from both natural sources like green tea extract; coffee bean extract; guarana or yerba mate; as well as added caffeine. In addition to the recommendation for label disclosure of total caffeine content, the guidelines recommend that products with a total caffeine content of more than 100 mg per serving include label advisories for children, those sensitive to caffeine, pregnant or nursing women, and those with a medical condition or taking medication. The guidelines also discourage companies from marketing or promoting the use of caffeine-containing dietary supplements in combination with alcohol, or to counter the acute or immediate effects of alcohol. Additional CRN self-regulatory efforts include the following guidelines: “Recommended Guidelines: Labeling and formulation of melatonin-containing dietary supplements for sleep support;”123 “Recommended Guidelines: Iodine Quantity in Multivitamin/Mineral Supplements for Pregnancy and Lactation;”124 “Best Practices Guide for Enzyme Dietary Supplement Products;”125 and, “CRN Guidelines for Labeling of Protein in Dietary Supplements and Functional Foods.”126 CRN also issued a guideline on the dosage and labeling of DHEA, kava, and ephedra in supplement products: “CRN Safety Considerations for Dosage Recommendations and Labeling.”127 Finally, in 2006 CRN partnered with the National Advertising Division (NAD)128 on an initiative to increase monitoring of advertising for dietary supplements. This program targets deceptive, false, and misleading dietary supplement advertising which is then reviewed by the NAD to determine whether the claims are truthful and supported by competent and reliable scientific evidence. The program enhances the marketplace for dietary supplements by increasing consumer confidence in the truth and accuracy of advertising claims for dietary supplement products and encourages fair competition within the industry.129 CRN will continue to implement such programs that go above and beyond the legal requirements and support appropriate FDA enforcement actions targeting unsafe products. On May 27, 2014, 18-year-old Logan Stiner was discovered on the floor of his family’s home by his brother. Logan, an Ohio high school athlete and scholar with a bright future, died of an accidental overdose of powdered caffeine.130 In June 2014, James Wade Sweatt, a 23-year-old engineer, died after repeatedly going into cardiac arrest, despite multiple attempts to revive him. “That powder is making me sick,” Wade told his wife, before collapsing. CSPI, a non-profit organization that works to improve nutrition and public health, filed a Citizen Petition with FDA in December 2014131 asking the agency to ban the sale of pure powdered caffeine and highly concentrated caffeinated powders and liquids. CSPI argued that pure powdered caffeine and other highly concentrated forms of caffeine present “a significant or unreasonable risk of illness or injury under conditions of use suggested or recommended in the labeling,”132 and are thus “adulterated or misbranded”133 and cannot be sold. CSPI also proposed that a ban on caffeine sold in a highly concentrated form to consumers is justified because it “pose[s] an imminent hazard to public health or safety.”134 Lastly, CSPI encouraged FDA to impose requirements for clearer labeling and potency restrictions to minimize risk of an accidental overdose. A single teaspoon of pure, powdered caffeine is the equivalent of drinking 25 8-ounce cups of coffee.135 It is so concentrated that the suggested serving size—generally between 1/32 and 1/16 of a teaspoon—is beyond the measurement capabilities of a typical consumer. There are considerable gaps in reporting. In the case of powdered caffeine, for example, in addition to the two deaths, news reports indicate there were 30 cases of overdoses of pure caffeine reported to poison control centers nationally during the first nine months of 2014.139 AERs received by CSPI (via a Freedom of Information Request), as well as other sources, indicate that accidental or intentional overdose with pure powdered caffeine has led to hospitalizations, seizures, cardiac arrhythmias, and death.140 How many other overdoses occurred, but were not linked to powdered caffeine, is unknown. It is troubling that the draft guidance permits companies to exempt new dietary ingredients by self-designating them “generally recognized as safe” (i.e., using procedures for so-called self-affirmed “GRAS”).155 This is clearly inconsistent with Congress’s intent. While the DSHEA exempted ingredients that were already “present in the food supply,”156 this exemption was due to a mistaken presumption that food ingredients are all already subject to FDA oversight.157 A recent report found that this loophole allows companies to self-affirm the safety of food ingredients and dub an ingredient exempt under DSHEA,158 meaning that FDA may never review evidence on the riskiest ingredients in either food or dietary supplements. Under current law, FDA may remove products from the market only after they pose a “significant or unreasonable risk of harm” or an “imminent hazard” to the public.159 It is clear from the numerous failures described herein that this post-market, ad hoc approach inflicts unacceptable risks on the public. See William A. Correll, Food & Drug Admin. FDA Warning Letter to Bridge City LLC. August 27, 2015, available at http://www.fda.gov/iceci/enforcementactions/warningletters/2015/ucm460203.htm, last access Nov. 25, 2015. See William A. Correll, Food & Drug Admin. FDA Warning Letter to Hard Eight Nutrition LLC. August 27, 2015, available at http://www.fda.gov/iceci/enforcementactions/warningletters/2015/ucm460200.htm, last access Nov. 25, 2015. See William A. Correll, Food & Drug Admin. FDA Warning Letter to Kreativ Health Inc Dba Natural Food Supplements. August 27, 2015, available at http://www.fda.gov/iceci/enforcementactions/warningletters/2015/ucm460208.htm, last access Nov. 25, 2015. For example, in 2010, due to FDA’s concern that the addition of caffeine to alcoholic beverages could mask some of the “sensory cues” individuals rely on to determine their level of alcohol intoxication, the agency issued warning letters to manufacturers of caffeinated alcoholic beverages; Food & Drug Admin., FDA News Release, FDA Warning Letters Issued to Four Makers of Caffeinated Alcoholic Beverages (Nov 17, 2010), available at http://www.fda.gov/NewsEvents/Newsroom/PressAnnouncements/ucm234109.htm, last access Nov. 25, 2015. See Leah S. Rosenfeld et al., Regulatory status of caffeine in the United States, 72 Nutrition Reviews (s1) 23 (2014). See Gwendolyn Prothro, The Caffeine Conundrum: Caffeine Regulation in the United States, 27 Cumberland Law Review 65 (1996-1997). Michael R. Taylor. Food & Drug Admin. FDA Consumer Health Information, FDA to Investigate Added Caffeine, May 2013, available at http://www.fda.gov/downloads/ForConsumers/ConsumerUpdates/UCM350740.pdf, last access Nov. 27, 2015. See label for “5-hour Energy, Berry,” available at: http://5hourenergy.com/wp-content/uploads/Berry-Fans-05.jpg [Note “Dietary Supplement” printed two lines below “6-Pack” on lower left side of carton, last access Nov. 17, 2015]; See also Table 2 in What’s all the Buzz About? A Survey of Popular Energy Drinks Finds Inconsistent Labeling, Questionable Ingredients and Targeted Marketing to Adolescents, A Report Written by the Staff of Congressman Edward J. Markey (D-MA) in Coordination with the Staff of Senators Richard J. Durbin (D-IL) and Richard Blumenthal (D-CT),” available at http://www.markey.senate.gov/documents/04-10-13%20-%20Energy%20Drink%20report%20FINAL.pdf, last access Nov. 27, 2015. Food & Drug Admin., Energy “Drinks” and Supplements: Investigations of Adverse Event Reports (Nov. 16, 2012), available at http://www.fda.gov/Food/RecallsOutbreaksEmergencies/SafetyAlertsAdvisories/ucm328536.htm, last access Nov. 27, 2015. Redbull Co., Is Red Bull Regulated by the FDA?, http://energydrink-us.redbull.com/red-bull-is-fda-approved, last access Nov. 17, 2015. Rosenfeld et al., supra note 7. Michael R. Taylor. Food & Drug Admin. FDA Consumer Health Information, FDA to Investigate Added Caffeine, May 2013, available at http://www.fda.gov/downloads/ForConsumers/ConsumerUpdates/UCM350740.pdf, last access Nov. 25, 2015. United Natural Products Alliance®. Press Release, United Natural Products Alliance Announces “No-Sale” Policy for Bulk-Powdered Caffeine as a Condition of Membership, available at https://unpa.com/assets/news_resource/asset/88/15_0301_UNPA_Policy_Bulk_Powdered_Caffeine.pdf, last access Nov. 27,2015. Natural Products Association. News Release, Natural Products Association Responds to FDA Action on Powered [sic] Caffeine, Sept. 2, 2015, available at https://www.npainfo.org/App_Themes/NPA/docs/regulatoryLegislative/FDA/Powdered%20Caffeine%20Response3.pdf, last access Nov. 27, 2015. Dietary Supplement Health and Education Act of 1994, Pub. L., No. 103-417, 108 Stat. 4325 (1994); 21 U.S.C. §321. FDA appears to have tentatively taken the position that synthesized herbal/botanical constituents, including caffeine, do not qualify as dietary ingredients. See Food & Drug Admin., Draft Guidance for Industry: Dietary Supplements: New Dietary Ingredient Notifications and Related Issues (July 2011), available at: http://www.fda.gov/Food/GuidanceRegulation/GuidanceDocumentsRegulatoryInformation/DietarySupplements/ucm257563.htm, last access Nov. 23, 2015. Although such products do not require approval from FDA before marketing, dietary supplement manufacturers are expected to notify the agency, or risk the product being deemed adulterated, if they intend to market a supplement containing an ingredient that was not marketed as a dietary ingredient before October 15, 1994 (or if the dietary supplement itself was not marketed before this date), i.e., a “a new dietary ingredient.” 21 U.S.C. §350b. Caffeine-containing energy drinks can be marketed as either a conventional food or dietary supplement, a determination that is based on a number of factors. See Food & Drug Admin., Guidance for Industry. 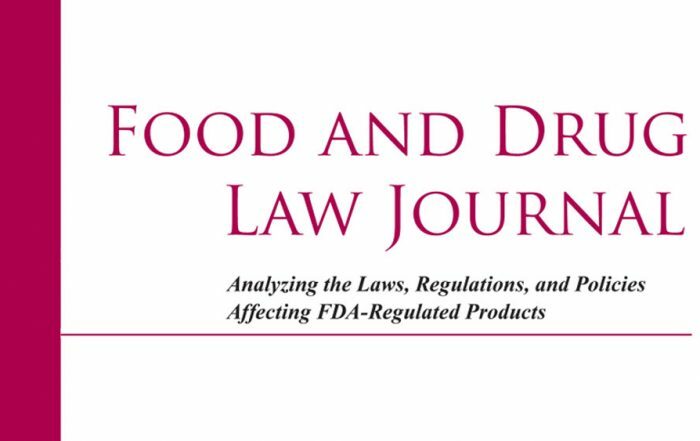 Distinguishing Liquid Dietary Supplements from Beverages, (January 2014), available at http://www.fda.gov/food/guidanceregulation/guidancedocumentsregulatoryinformation/ucm381189.htm, last access Nov. 24, 2015. Food & drug admin. FDA Takes Action on Bulk Pure Powdered Caffeine Products. Constituent Update (Sept. 1, 2015), available at: http://www.fda.gov/Food/NewsEvents/ConstituentUpdates/ucm460097.htm, last access Jan. 15, 2015. For example, on the bulksupplements.com website, on Aug. 27, 2014, “John” wrote, “I filled the capsules with 300 mg…” and on Mar. 2, 2015, “James” wrote, “I purchased this to add to my home made [sic] preworkout.” Others commented positively on its miscibility, which suggests they mixed the powder with a liquid and ingested it in beverage form BulkSupplements.com, http://www.bulksupplements.com/caffeine-powder-anhydrous.html, last visited Nov. 6, 2015. Correll, supra note 2. Note: Identical or similar language appears in the other Warning Letters. P. Mason. One Is Okay, More Is Better? 66 Proc Nutr Soc no. 4, 494 (2007). Amer. Cancer Soc., Dietary Supplements: What Is Safe? Megadosing: The ‘More is Better’ Myth, available at http://www.cancer.org/treatment/treatmentsandsideeffects/complementaryandalternativemedicine/dietarysupplements/dietary-supplements-toc, last access Nov. 23, 2015. Uniquely identified by its Chemical Abstract Service Number: 58-08-2. Also known by other names: 3,7-Dihydro-1,3,7-trimethyl-1H-purine-2,6-dione (9CI); Anhydrous caffeine, Coffeine, Coffeinum, Guaranine, Methyltheobromine, Methylxanthine theophylline, Thein, Theine, 1,3,7-Trimethyl-2,6-dioxopurine [National Library of Medicine. ChemIDplus, http://chem.sis.nlm.nih.gov/chemidplus/rn/startswith/58-08-2, last access Nov. 6, 2015. See Inst. of Med., Caffeine in Food and Dietary Supplements: Examining Safety: Workshop Summary (2014). Personal communication, Siobhan DeLancey, Food & Drug Admin. (Oct. 30, 2015). Bill J. Gurley et al., Multi-ingredient, Caffeine-containing Dietary Supplements: History, Safety, and Efficacy, 37 Clinical Therapeutics no. 2, 275 (2015). Inst. of Med., supra note 29. See Consumer Q&A: Caffeine-Containing Dietary Supplements, http://crnusa.org/caffeine/Q+A.html, last access Nov. 10, 2015. See Inst. for Sci. Info. on Coffee, Caffeine in the Body, http://coffeeandhealth.org/topic-overview/caffeine-in-the-body/. [Coffee trade association informational resource], last access Nov. 5, 2015. Parkinson & Ogilvie, Absorption, Distribution, and Excretion of Toxicants, in Casarett and Doull’s Toxicology: The Basic Science of Poisons, (Curtis D. Klaassen ed, 7th ed 2008). Fredholm et al., Actions of Caffeine in the Brain with Special Reference to Factors That Contribute to Its Widespread Use, 51 Pharmalogical Reviews 83, 1999, available at, http://pharmrev.aspetjournals.org/content/51/1/83.full, [last visited January 29, 2016]. In fact, those who consume 687 mg of caffeine or more per day, and have never smoked, have a modestly elevated risk of primary cardiac arrest. See S. Weinmann et al., Caffeine Intake in Relation to the Risk of Primary Cardiac Arrest, Epidemiology 8, no. 5 (1997). B.E. Statland & T.J. Demas, Serum Caffeine Half-Lives. Healthy Subjects vs. Patients Having Alcoholic Hepatic Disease, 73 American Journal of Clinical Pathology, no. 3, 390 (1980). Fredholm et al., supra note 40. J.A. Carrillo and J. Benitez, Clinically Significant Pharmacokinetic Interactions Between Dietary Caffeine and Medications, 39 Clinical Pharmacokinetics, no. 2, 127-153 (2000). See Parkinson & Ogilvie, supra note 39. J.L. Brazier et al. Inhibition by Idrocilamide of the Disposition of Caffeine. 17 Eur. J. Clin. Pharmacol. no. 1, 37 (1980). Carrillo and Benitez, supra note 46. S. Bodenmann, C. Hohoff, C. Freitag, et al., Polymorphisms of ADORA2A Modulate Psychomotor Vigilance and the Effects of Caffeine on Neurobehavioural Performance and Sleep EEG after Sleep Deprivation, 165 British Journal of Pharmacology 1904 (2012), available at http://www.ncbi.nlm.nih.gov/pmc/articles/PMC2745641/, last access Nov. 27, 2015. E. Childs et al., Association between ADORA2A and DRD2 Polymorphisms and Caffeine-Induced Anxiety. Neuropsychopharmacology 33(12), 2791-2800 (2008), available at http://www.ncbi.nlm.nih.gov/pmc/articles/PMC2745641/pdf/nihms130395.pdf, last access Nov. 27, 2015. J.V. Rétey, M. Adam, R. Khatami et al. A genetic variation in the adenosine A2A receptor gene (ADORA2A) contributes to individual sensitivity to caffeine effects on sleep. 81 Clinical Pharmacology & Therapeutics (5), 692 (2007). Peter J. Rogers, Christa Hohoff, Susan V. Heatherley et al., Association of the Anxiogenic and Alerting Effects of Caffeine with ADORA2A and ADORA/Polymorphisms and Habitual Level of Caffeine Consumption. 35 Neuropsychology 1973 (2010), available at http://www.ncbi.nlm.nih.gov/pmc/articles/PMC3055635/pdf/npp201071a.pdf, last access Nov. 27, 2015. See Dept. of Agriculture, Scientific Report of the 2015 Dietary Guidelines Advisory Committee: Advisory Report to the Secretary of Health and Human Services and the Secretary of Agriculture, (2015). See Michael R. Taylor. Food & Drug Admin., FDA Consumer Health Information, FDA to Investigate Added Caffeine, May 2013, available at http://www.fda.gov/downloads/ForConsumers/ConsumerUpdates/UCM350740.pdf, last access Nov. 25, 2015. See chart at CSPInet, supra note 33. See National Sleep Foundation, Caffeine and Sleep, https://sleepfoundation.org/sleep-topics/caffeine-and-sleep, last access Nov. 27, 2015. Nancy J. Wesensten, Legitimacy of Concerns about Caffeine and Energy Drink Consumption, 72 Nutrition Reviews (S1) 78-86 (2014). Center for Science in the Public Interest, Petition to Ban the Retail Distribution Of Pure and Highly Concentrated Caffeine Sold in Powder Form as a Dietary Supplement. FDA Regulatory Docket FDA-2015-P-0059 (Dec. 9, 2014). See Michael M. Landa, Food & Drug Admin., Tragic Deaths Highlight the Dangers of Powdered Pure Caffeine, http://blogs.fda.gov/fdavoice/index.php/2014/12/tragic-deaths-highlight-the-dangers-of-powdered-pure-caffeine/, last access Nov. 15, 2015. See S. Kerrigan and T. Lindsey, Fatal caffeine overdose: two case reports, 153 Forensic Sci Int no. 1, 67-49 (2005). R.M. Mrvos et al., Massive Caffeine Ingestion Resulting in Death, 31 Vet Hum Toxicol no. 6, 571-572 (1989). Compare this to a blood caffeine level of 2 µg/ml that may result from drinking one cup of coffee (Fredholm et al., supra note 40). Li Yan et al., Cardiac Arrest: A Case-Based Review, 5 World Journal of Emergency Medicine no. 3, 171-174 (2014). Serious adverse events reported to the dietary supplement manufacturer, packer, or distributor must be reported by these persons or entities per the Dietary Supplement and Nonprescription Drug Consumer Protection Act of 2006, which became effective December 22, 2007. See Food & Drug Admin., Guidance for Industry. Questions and Answers Regarding Adverse Event Reporting and Recordkeeping for Dietary Supplements as Required by the Dietary Supplement and Nonprescription Drug Consumer Protection Act, September 2013, available at, http://www.fda.gov/Food/GuidanceRegulation/GuidanceDocumentsRegulatoryInformation/DietarySupplements/ucm171383.htm, last access Nov. 27, 2015; also see Dietary Supplement and Nonprescription Drug Consumer Protection Act, Pub. L. No. 109-462. Dec. 22, 2006. Government Accountability Office. March 2013. Dietary Supplements. FDA May have Opportunities to Expand Its Use of Reported Health Problems to Oversee Products. GAO-13-244, available at http://www.gao.gov/products/GAO-13-244, last access Nov. 27, 2014. Seema B. Jabbar & Mark G. Hanley, Fatal Caffeine Overdose: A Case Report and Review of the Literature, 34 American J. Forensic Med. Pathol. 321 (2013). Mrvos et al., supra note 67. PEPSI MAX contains 69 mg caffeine/12 oz per the chart at CSPInet supra note 33; converting to liters, eight liters (270.5 oz) of PEPSI MAX contains 1555 mg caffeine. Sophie Jane Evans, Mother-of-One Died after Downing up to Eight Litres a day of PEPSI MAX while on Anti-Depressants, Daily Mail.com Nov. 4, 2015, available at http://www.dailymail.co.uk/news/article-3303220/Mother-one-drank-death-PEPSI-MAX-downing-eight-litres-day-caused-excess-levels-caffeine.html, last access Nov. 27, 2015.
www.NBC Washington.com, Md. Girl’s Death Among 5 Investigated in Connection with Monster Energy Drink. Oct. 22, 2012, available at http://www.nbcwashington.com/news/local/Parents-sue-Monster-Beverage-over-girls-death-175247541.html, last access Nov. 27, 2015. Monster contains 160 mg of caffeine per 16 fl oz; see http://www.cspinet.org/new/cafchart.htm; two 24-oz servings, therefore, contain 480 mg caffeine. Bill J. Gurley et al., Multi-Ingredient Caffeine-Containing Dietary Supplements: History, Safety, and Efficacy, 37 Clin Ther. no. 2, 275-301 (2015). Laszlo Somogyi, Caffeine Intake by the US Population (Report prepared for the Food and Drug Administration) (Completed September 2009, revised in August 2010), available at http://www.fda.gov/downloads/AboutFDA/CentersOffices/OfficeofFoods/CFSAN/CFSANFOIAElectronicReadingRoom/UCM333191.pdf [accessed on November 11, 2015]. See Gurley et al., note 81. K.L. Kendall et al., Ingesting a Preworkout Supplement Containing Caffeine, Creatine, β-alanine, Amino Acids, and B Vitamins for 28 Days Is Both Safe and Efficacious in Recreationally Active Men, 34 Nutr Res. no. 5,442-449. (2014). O. Kassis et al., Double-Blind Placebo and Active (Caffeine) Controlled Study to Examine the Effects of the Herbal Nutritional Supplement Beverage “Wake up” on Vigilance and Function after Lunch, 15 Isr Med Assoc J. no. 8, 419-23 (2013). Takuma Yamamoto et al., Autopsy Report for a Caffeine Intoxication Case and Review of the Current Literature, 28 J. Toxicol. Pathol. no. 1, 33-36 (2015). B. Riesselmann et al., Fatal Caffeine Intoxication, Forensic Sci. Int. 139 (2004); T. Rudolph and K. Knudsen, A case of fatal caffeine poisoning, 54 Acta. Anaesthesiol. Scand. no. 4, 521-523 (2010). R.M. Lystrup and J.C. Leggett, Caffeine Toxicity Due to Supplement Use in Caffeine—Naïve Individual: A Cautionary Tale, 180 Mil Med no. 8, e936-940 (2015). N.P. Riksen et al., The Cardiovascular Effects of Methylxanthines. Handb Exp Pharmacol, 200, 413-437 (2011). Michael R. Taylor, Food & Drug Admin. 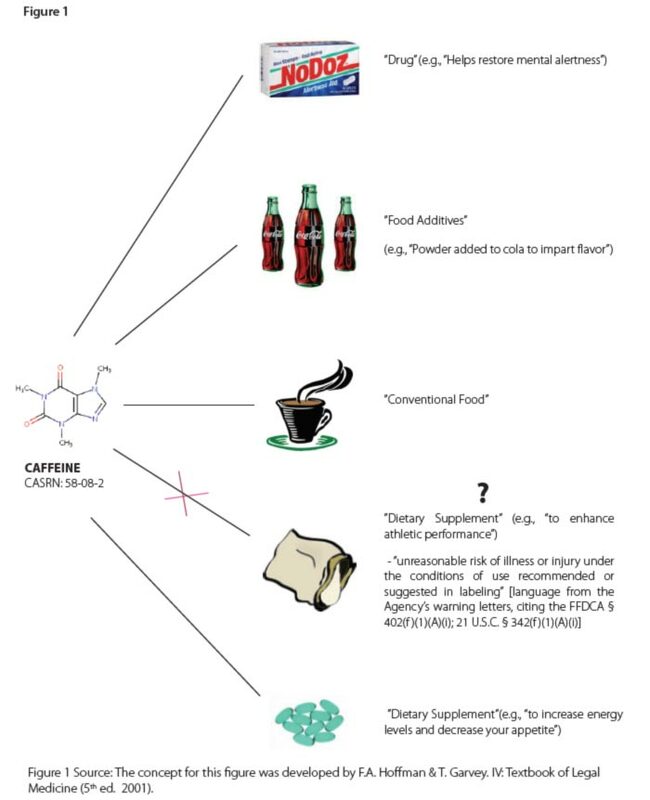 FDA Consumer Health Information, FDA to Investigate Added Caffeine, May 2013, available at http://www.fda.gov/downloads/ForConsumers/ConsumerUpdates/UCM350740.pdf. 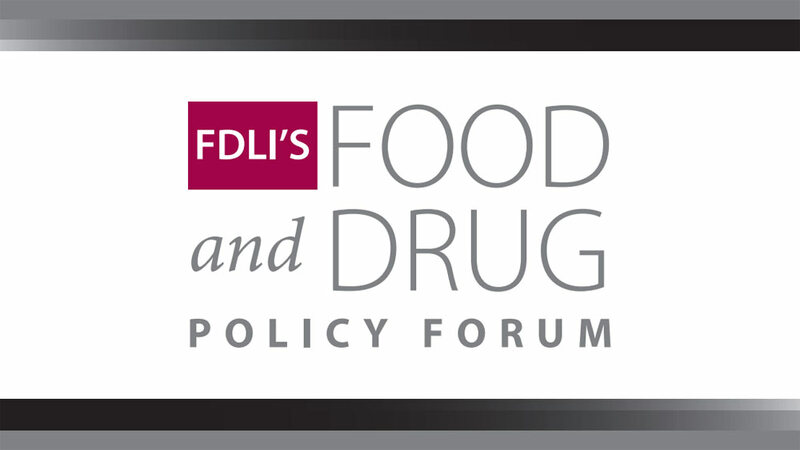 Food & Drug Admin., FDA Takes Action on Bulk Pure Powdered Caffeine Products, September 1, 2015, available at http://www.fda.gov/Food/NewsEvents/ConstituentUpdates/UCM460097. 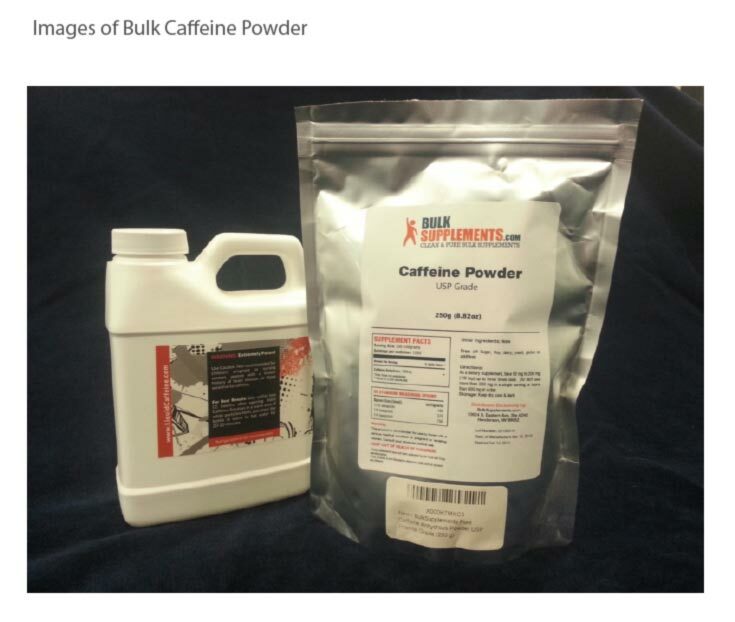 Food & Drug Admin., FDA Consumer Advice on Powdered Pure Caffeine, available at http://www.fda.gov/food/recallsoutbreaksemergencies/safetyalertsadvisories/ucm405787.htm. Center for Science in the Public Interest, Petition to Ban the Retail Distribution of Pure and Highly Concentrated Caffeine Sold in Powder Form as a Dietary Supplement, December 9, 2014. FDA Regulatory Docket FDA-2015-P-0059. 6 Senators Urge FDA to Ban Pure Caffeine Sales, January 27, 2015, available at http://newhope360.com/regulatory/6-senators-urge-fda-ban-pure-caffeine-sales. On December 21, 2015, FDA announced the creation of the Office of Dietary Supplement Programs (ODSP), elevating the program from its previous status as a division under the office of Nutrition Labeling and Dietary Supplements. Food & Drug Admin., FDA Creates the Office of Dietary Supplement Programs and Announces New Nutrition Office Leadership, December 21, 2015, www.fda.gov/Food/NewsEvents/ConstituentUpdates/ucm478303.htm. Consumer Healthcare Products Association, Voluntary Program for Dietary Supplements: Caffeine, adopted June 18, 2013, available at http:// www.chpa.org/WorkArea/DownloadAsset.aspx?id=1798. S.M. Melville and S. Mister, Distinguishing Safe from Unsafe Supplement Products – Product category growing by double digits in c-stores; Conv Store and Fuel News, CSPnet.com September 27, 2012, available at http://www.cspnet.com/category-news/general-merchandise/articles/guest-column-distinguishing-safe-unsafe-supplement. S. Melville and S. Mister, Ensuring the Safety of Supplements on Your Shelves, Conv Store Decisions 68, October 17, 2015, available at http://www.cstoredecisions.com/2012/10/17/ensuring-the-safety-of-the-supplements-on-your-shelves/#_. Federal Food, Drug, and Cosmetic Act, Pub. L. No. 75-717, § 402(f)(1)(A)(i); 21 U.SC. § 342(f)(1)(A)(i). Id. § 413(b); 21 U.S.C. § 350(b). Current Good Manufacturing Practice (CGMP) In Manufacturing, Packaging, Labeling, Or Holding Operations for Dietary Supplements (21 C.F.R. Part 111), the Dietary Supplement and Nonprescription Drug Consumer Protection Act of 2006, Pub. L. 109-462 and the Food Safety Modernization Act of 2010, Pub. L. 111-353. Federal Food, Drug, and Cosmetic Act § 418; 21 U.S.C. 350g. Id. § 415(a); 21 U.S.C. 350d(a). Id. § 304(h); 21 U.S.C. 334(h). Id. § 432; 21 U.S.C. 350l. Id. § 403(r)(6); 21 U.S.C. 343(r)(6). Regulations on Statements Made for Dietary Supplements Concerning the Effect of the Product on the Structure or Function of the Body 65 Fed. Reg. 1000 (Jan 6, 2000) (codified at 21 C.F.R. § 101.93). Federal Food, Drug, and Cosmetic Act §403(r)(6); 21 U.S.C. 343(r)(6). Ctr. for Food Safety & Applied Nutr., Food & Drug Admin., Guidance for Industry: Substantiation for Dietary Supplement Claims Made Under Section 403(r)(6) of the Federal Food, Drug, and Cosmetic Act, available at http://www.fda.gov/food/guidanceregulation/guidancedocumentsregulatoryinformation/dietarysupplements/ucm073200.htm [last accessed November 13, 2015]. -guide-industry [last accessed November 13, 2015]. Food & Drug Admin., HHS Launches Crackdown on Products Containing Andro. FDA warns manufacturers to stop distributing such products, available at http://www.fda.gov/NewsEvents/Newsroom/PressAnnouncements/2004/ucm108262.htm [last accessed November 19, 2015]. Food & Drug Admin., FDA Consumer Advice on Pure Powdered Caffeine, available at http://www.fda.gov/Food/RecallsOutbreaksEmergencies/SafetyAlertsAdvisories/ucm405787.htm. [last accessed November 12, 2015]. Food & Drug Admin., FDA Warning Letter to PureBulk. (August 27, 2015), available at http://www.fda.gov/ICECI/EnforcementActions/WarningLetters/2015/ucm460204.htm. [last accessed November 12, 2015]. Food & Drug Admin., Know Concentration Before Giving Acetaminophen to Infants, available at http://www.fda.gov/ForConsumers/ConsumerUpdates/ucm284563.htm. [last accessed November 12, 2015]. To further promote the safe use of these products, FDA recently released guidance for industry concerning formulation, packaging, labeling, and dosage for OTC pediatric liquid acetaminophen products, See Food & Drug Admin., Over-the-Counter Pediatric Oral Liquid Drug Products Containing Acetaminophen: Guidance for Industry, available at http://www.fda.gov/downloads/Drugs/GuidanceComplianceRegulatoryInformation/Guidances/UCM417568.pdf. [last accessed November 12, 2015]. Food & Drug Admin., FDA Cautions on Accurate Vitamin D Supplementation for Infants, available at http://www.fda.gov/NewsEvents/Newsroom/PressAnnouncements/ucm215150.htm. [last accessed November 12, 2015]. Council for Responsible Nutrition, See web page with links to resources on Self-Regulation, available at http://www.crnusa.org/leg_self.html [last accessed November 12, 2015]. Council for Responsible Nutrition, CRN Recommended Guidelines for Caffeine-Containing Dietary Supplements, updated 2015, available at http://crnusa.org/caffeine/guidelines.html. Council for Responsible Nutrition, CRN Supports FDA Taking Action To Prevent Consumer Access To Pure Powdered Caffeine (September1, 2015), available at http://crnusa.org/caffeine/FDA090115.html [last accessed on November 12, 2015]. Council for Responsible Nutrition, CRN Recommended Guidelines: Labeling and formulation of Melatonin-Containing Dietary Supplements for Sleep Support, available at http://www.crnusa.org/pdfs/CRN-Melatonin-Guidelines-new0615.pdf [last accessed on November 12, 2015]. Council for Responsible Nutrition, CRN Recommended Guidelines: Iodine Quantity in Multivitamin/Mineral Supplements for Pregnancy and Lactation, available at http://www.crnusa.org/pdfs/CRNRecommendedGuidelinesIodine_Final.pdf [last accessed on November 12, 2015]. Council for Responsible Nutrition, Best Practices Guide for Enzyme Dietary Supplement Products, available at http://www.crnusa.org/pdfs/CRN-ETA-BPG-Enzymes2013.pdf [last accessed on November 12, 2015]. Council for Responsible Nutrition, CRN Guidelines for Labeling of Protein in Dietary Supplements and Functional Foods, available at http://www.crnusa.org/pdfs/CRN-Protein-Labeling-Guidance-BoardApproved0413.pdf [last accessed on November 12, 2015]. Council for Responsible Nutrition, CRN Safety Considerations for Dosage Recommendations and Labeling, available at http://www.crnusa.org/pdfs/CRN-Safety-Considerations-Vol_Dosage_Labeling-Revpost2014.pdf [last accessed on November 12, 2015]. NAD is the investigative unit of the advertising industry’s system of self-regulation and is administered by the Council of Better Business Bureaus. Council for Responsible Nutrition, CRN Foundation, National Advertising Division, Industry Self-Regulatory Program. See “About the Program” and “Background Information” at http://www.crnusa.org/NAD/. Associated Press, Death of Teen Logan Stiner Puts Focus on Caffeine Powder Dangers (July 19, 2014), http://www.huffingtonpost.com/2014/07/19/logan-stiner-caffeine-pow_n_5601775.html, last access Nov. 25, 2015. Center for Science in the Public Interest, Petition to Ban the Retail Distribution of Pure and Highly Concentrated Caffeine Sold in Powder Form as a Dietary Supplement, Dec. 9, 2014. FDA Regulatory Docket FDA-2015-P-0059, available at http://cspinet.org/new/Caffeine-petition-CSPI-12-9-2014.pdf, last access Nov. 25, 2015. 21 U.S.C. § 342(f)(1)(A)(i).Federal Food, Drug, and Cosmetic Act (FFDCA), Pub. L. No. 75-717, Section 402(f)(1)(A). Food and Drug Admin., FDA Consumer Advice on Powdered Pure Caffeine (last updated Sept. 1, 2015), available at http://www.fda.gov/Food/RecallsOutbreaksEmergencies/SafetyAlertsAdvisories/ucm405787.htm, last access Dec. 5, 2014. CSPI’s letter to FDA (included in FDA Regulatory Docket FDA-2015-P-0059) noted the agency neglected to send a warning letter to at least one other company also marketing powdered caffeine to consumers, and should take action against a closely related product one of the cited companies is also marketing to consumers. Available at http://www.regulations.gov/#!docketBrowser;rpp=25;po=0;dct=N%252BFR%252BPR%252BO;D=FDA-2015-P-0059. As of December 3, 2015, the letter has not yet been posted on the regulatory docket at regulations.gov. Andrew I. Geller, et al., Emergency Department Visits for Adverse Events Related to Dietary Supplements, 373 N. Engl. J. Med. 1531 (Oct. 15, 2015). Jennifer Weeks, Dietary Supplements: Is Regulation of the Industry Too Lax? 25 CQ Researcher no. 39, (2015) at 916. Laura Ungar, Caffeine Powder Raises Overdose Concerns, The Courier-Journal (Sept. 12, 2014), http://www.courier-journal.com/story/life/wellness/health/2014/09/12/caffeine-powder-raises-overdose-concerns/15512267/, last access Nov. 25, 2015. Ctr. for Food Safety & Applied Nutrition, Food & Drug Admin., CAERS Reports Allegedly Related to Pure Caffeine, as of Nov. 13, 2014 (obtained by CSPI via FOIA request); Seema B. Jabbar and Mark G. Hanly, Fatal Caffeine Overdose: A Case Report and Review of Literature, 34 Am. J. Forensic. Med. Pathol. 321 (2013). What’s Behind our Dietary Supplements Coverage, Consumer Reports, available at http://www.consumerreports.org/cro/2012/04/what-s-behind-our-dietary-supplements-fcoverage/index.htm (noting that more than half of respondents to a national Harris poll in 2002 said they believed that supplements must be approved by a government agency before they can be sold to the public); 2002 Harris poll no longer publicly available for reference. CA Morris & J Avorn. Internet Marketing of Herbal Products. JAMA 2003 Sep 17; 290(11):1505-9. Dietary Supplement: Structure/Function Claims Fail to Meet Federal Requirements, Office of Inspector General, U.S. Department of Health and Human Services, Report (OEI-01-11-00210), Oct. 2012 at 12 and 16, available at http://oig.hhs.gov/oei/reports/oei-01-11-00210.pdf, last accessed on Dec. 3, 2015. U.S. Government Accountability Office, Food Labeling: FDA Needs to Reassess Its Approach to Protecting Consumers from False or Misleading Claims, Jan. 2011, available at http://www.gao.gov/assets/320/314473.pdf, last accessed on Dec. 3, 2015. Chung-Tung Jordin Lin, How Do Consumers Interpret Health Messages on Food Labels? Nutrition Today, 43, no. 6 (2008). The study found that consumers rate the level of scientific evidence and other attributes associated with structure/function claims as similar to those of healthclaims, and that structure/function claims are the most popular of all claims—consumers prefer them to health claims, which they saw as wordy and disease-specific. A. Kapoor & J.M. Sharfstein, Breaking the Gridlock: Regulation of Dietary Supplements in the United States. Drug Test. Analysis (2015), citing Josh Long, FDA Date: Supplement cGMP Compliance Rates Show Modest Improvement, Natural Products Insider (2014), available at http://onlinelibrary.wiley.com/doi/10.1002/dta.1892/abstract, last accessed Dec. 3, 2015. Ctr. For Drug Evaluation & Research, Food & Drug Admin., Tainted Products Marketed as Dietary Supplements, CDER, available at http://www.accessdata.fda.gov/scripts/sda/sdNavigation.cfm?sd=tainted_supplements_cder. Last updated Dec. 3, 2015, last access Dec 3, 2015. Josh Long, FDA GMP Inspectors Cite 70% of Dietary Supplement Firms. Natural Products Insider (2013), available at http://www.naturalproductsinsider.com/news/2013/05/fda-gmp-inspectors-cite-70-of-dietary-supplement.aspx, last access Dec. 3, 2015; Josh Long, More supplement manufacturers complying with FDA GMP regulations, but room for improvement. Natural Products Insider (2015), available at http://www.naturalproductsinsider.com/blogs/insider-law/2015/03/more-supplement-manufacturers-complying-with-fda.aspx, last access Dec. 3, 2015. Alison Young, Supplement Shell Game, USA Today (Dec. 20, 2013), available at http://www.usatoday.com/topic/a6a2541c-0b71-46bf-81a5-c3d21ba55b2d/supplement-shell-game/, last accessed Dec. 3, 2015. Dep’t. of Justice Press Release, Justice Department and Federal Partners Announce Enforcement Actions of Dietary Supplement Cases, Nov. 17, 2015, http://www.justice.gov/opa/pr/justice-department-and-federal-partners-announce-enforcement-actions-dietary-supplement-cases, last access Dec. 3, 2015. An NDI is one not marketed in the United States before 1994. See 21 U.S.C. § 350b. DSHEA was enacted in 1994, prior to changes at the FDA that substantially diminished its oversight of food ingredients. See Comments by CSPI, the Natural Resources Defense Council and others to the docket for Substances that Are Generally Recognized as Safe, April 15, 2015, available at: http://cspinet.org/new/201504151.html, last access Dec. 3, 2015. See Dietary Supplements, Draft Guidance for Industry, IV. B. 2, citing 21 U.S.C. 350b(a)(1). 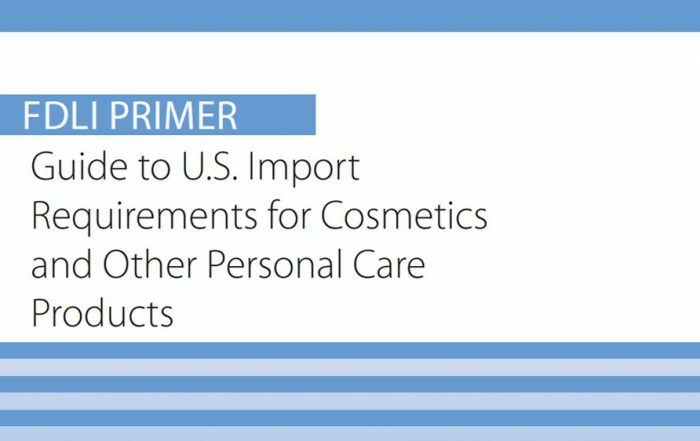 (FDA’s draft guidance compounds the problem by providing that if a substance is merely “marketed” for use in food in the U.S. or abroad(without chemical alteration, the exemption from NDI notification applies). FDA should report this information publicly annually and labels should be required to include a toll-free telephone number and Web address for incidents to be reported. Congress should also require reporting of mild and moderate adverse events. For example, Congress could ask the National Academy of Medicine (NAM) to use existing evidence from the National Institutes of Health, the U.S. Preventive Services Task Force, and other sources, and prepare a list of allowed claims for products, as in Europe and Canada. Congress should require FDA to review claims for products prior to market to assure there is an evidentiary basis for them consistent with NAM’s guidelines. Brenda Seidman, M.S., Ph.D. RAC is a regulatory toxicologist and Principal Consultant of Seidman Regulatory Toxicology, LLC in the Washington, D.C. metropolitan area. She served as a volunteer editor of this issue and one of its contributors, and thanks Ms. Judy Rein, Policy Forum’s Editor, for giving her this opportunity, and for her guidance and patience. Seidman also thanks Ms. Jeanne Faubell for generously donating her time and expertise in assisting Seidman with the preliminary formatting of this issue’s endnotes, and to each of the participants, not only for their willingness to participate, but also for their hard work and professionalism. The Consumer Healthcare Products Association (CHPA) is the 134-year-old national trade association representing the leading manufacturers and marketers of over-the-counter (OTC) medicines and dietary supplements. CHPA is committed to empowering consumer self-care by preserving and expanding choice and availability of consumer healthcare products. Jay Sirois, Ph.D. is responsible for regulatory and scientific affairs activities, including cooperative programs with the U.S. Food and Drug Administration, ingredient safety, and dietary supplement programs at CHPA. He is experienced in pharmaceutical, medical device, and dietary supplement regulatory affairs, pharmacovigilance, Rx-to-OTC switch, product safety, and clinical research. Sirois is a member of the Regulatory Affairs Professionals Society and is an ad hoc reviewer for the Neurotoxicology journal. The Council for Responsible Nutrition (CRN), founded in 1973, is a Washington, D.C.-based trade association representing 150+ dietary supplement and functional food manufacturers, ingredient suppliers, and companies providing services to those manufacturers and suppliers. Learn more about CRN at www.crnusa.org. Rend Al-Mondhiry is associate general counsel for CRN. Ms. Al-Mondhiry provides legal counsel and advice to CRN’s staff and members in the areas of legislation; regulatory compliance and advocacy; and international policy development with respect to dietary supplements and nutrition issues. Duffy MacKay, N.D., Senior Vice President, Scientific and Regulatory Affairs, oversees CRN’s Science and Regulatory Affairs Department, ensuring that the association’s scientific, policy, and legislative positions are based on credible scientific rationale. The Center for Science in the Public Interest (CSPI) is a leading national non-profit advocacy organization for nutrition, health, food safety, public health, and scientific integrity. CSPI works on behalf of consumers to bring accountability and transparency to public health policy. The organization accepts no government or corporate funding. Laura MacCleery is CSPI’s Director of Regulatory Affairs, and an experienced advocate for improvements to public health. She has served the public interest in a wide range of issue areas, from women’s health to campaign finance reform, and now has turned her attention to improving the safety and health of dietary products sold to consumers. She graduated from Stanford Law School in 1999 and clerked for Justice Gregory Hobbs of the Colorado Supreme Court. The views, opinions, and statements expressed in this article are those of the author(s). FDLI neither contributes to nor endorses Forum articles. What’s Missing from MDUFA IV? How Will FDA Regulate Off-Label Communications in the Post-Facteau World? Child-Resistant Packaging for Liquid Nicotine: Are Current State and Federal Policy Responses Adequate? Tracing FTC’s Line on Commercial Speech: What Makes an Ad an Ad and Why Does It Matter?